Taking advantage of the improved weather for me means wearing more skirts. The tights were still necessary for the chilly breeze, but hopefully not again until the Fall (crossing my fingers). 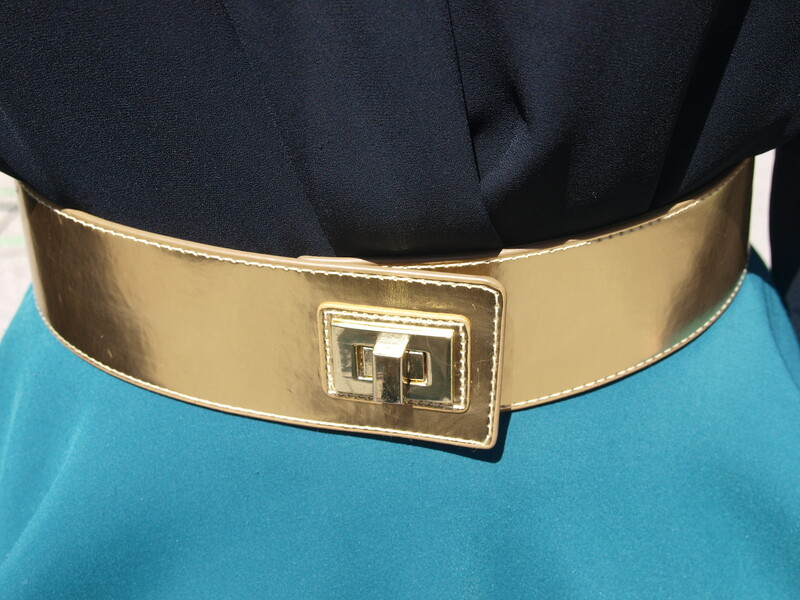 The gold belt was a great way to draw attention to an otherwise simple outfit. The key to incorporating accessories to any outfit is making sure it complements your look, not overwhelm or underwhelm. For this particular outfit the belt and the tights were just the right addition to complete the ensemble. For work, as far as accessories go: less is best.